Hotel amenities distinguish hospitality experiences; they add luxury, appeal to the lifestyle choices of guest and generate brand associations for hotels. One company that specialises in providing high-quality hotel supplies is Hun Win Enterprises, a leading supplier of hotel amenities directly imported from Europe & Asia Pacific Region. We profiled the firm to find out more about the services they provide. The world of business comes with its fair share of struggles, but that only serves to make success even sweeter to those who stand up to be counted. This was the experience of Mr. Fang, managing director of Hun Win Enterprises. Two years ago, Mr Fang acquired Hun Win Enterprise as he had both a great passion and interest in business. With more than 30 years of experience in the industry, Hun Win Enterprises’ legacy emphasises upon utmost importance of being a relevant, hassle-free, solution provider to all of their clients with exquisite after-sales service. They are dedicated to being long term partners with their clients and constantly providing new differentiated products through superior quality commensurate, with competitive pricing strategies. The road to entrepreneurship was not an easy one. Like any other companies, Hun Win Enterprises had their own share of difficulties. For Mr Fang, to begin his new career phase as a business owner, he had lots to learn, improve and transform for the company to stay ahead. During the first few years, the team at Hun Win Enterprise explored different ways to boost the company’s image and increase its clientele. Also, Hun Win Enterprises faced stiff competition from overseas companies. As there were many competitors coming from exporting countries such as China, India, Thailand and Indonesia, all these players adopted aggressive penetration pricing strategy, which resulted in price wars. Despite the odds, Mr Fang and his team managed to break through the obstacles by creating uncontested market place and capture new demands through strategic partnerships and offer sophisticated values for their clients. Not only was Hun Win Enterprises able to keep up, they also prospered. The team worked doubly hard to ensure that they perform well, and have the ability to deliver outstanding services to their clients through their state of the art innovation and methodology for speed and quality assurance. Over 30 years of establishment, Mr Fang is persistent to continue the legacy of his predecessors to be customer-centric, and delivering only quality products that will help with their client’s business. 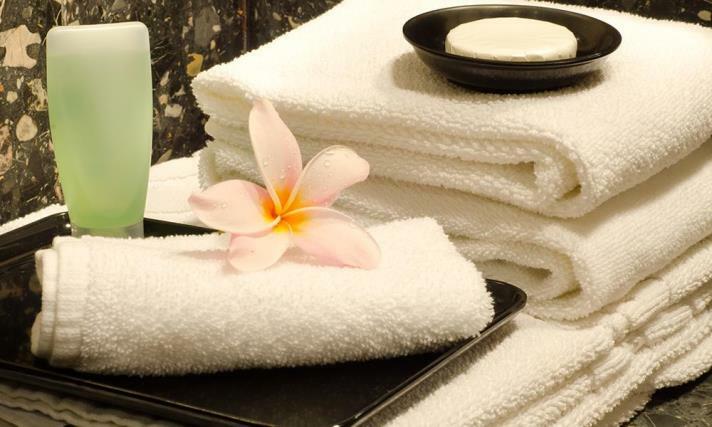 It is in their tagline of making every guest feel special with their amenities supplies. “Customers are the lifeblood of any business, regardless of how small the invoice amount is, we always appreciate their support just like other bigger clients” - Mr Fang states. These principles and work ethics has helped them to build a strong customer base and foothold for Hun Win Enterprises in the hospitality industry. To date, some of Hun Win Enterprises notable clients include large scale companies like Singapore Airlines, Apple Inc, Mandarin Oriental, Conrad, Fullerton and some other government and private hospitals. Being the industry leader, Hun Win Enterprises has no intent to relinquish their market position, and they intend to strive for continued growth and success. According to Mr Fang, Hun Win Enterprises business plan for the next five years, it will be focusing on exponential growth, which they believe is needed and vital in order to stay relevant and ahead of competition. A thoughtful business owner, Mr Fang pays great attention to his staffs’ welfare. He added that he applies servant-leadership as a timeless approach to grow individuals, build better organisation culture and ultimately create a more just and caring world. It is clear to say that Hun Win Enterprises is a success because everything they do is a pledge to ensuring their customers’ expectations are being surpassed. The fact that Hun Win Enterprises has been able to thrive in the competitive industry for more than 30 years, is mainly due to a sound organisational structure and the grit to conquer adversities along the way.